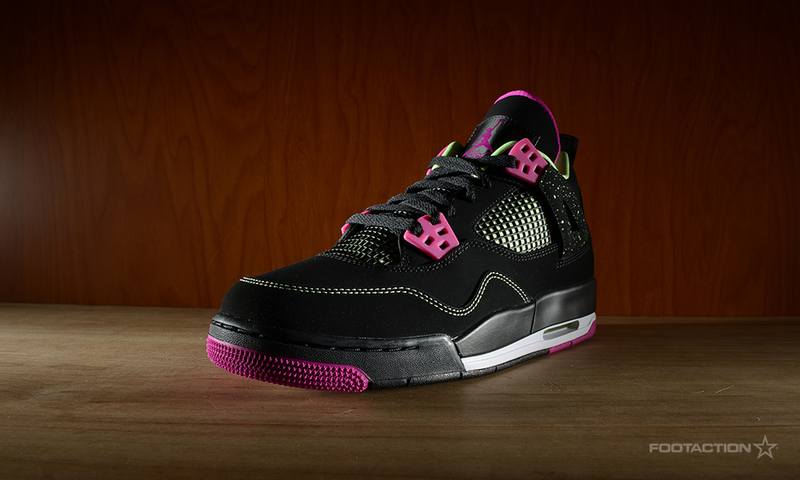 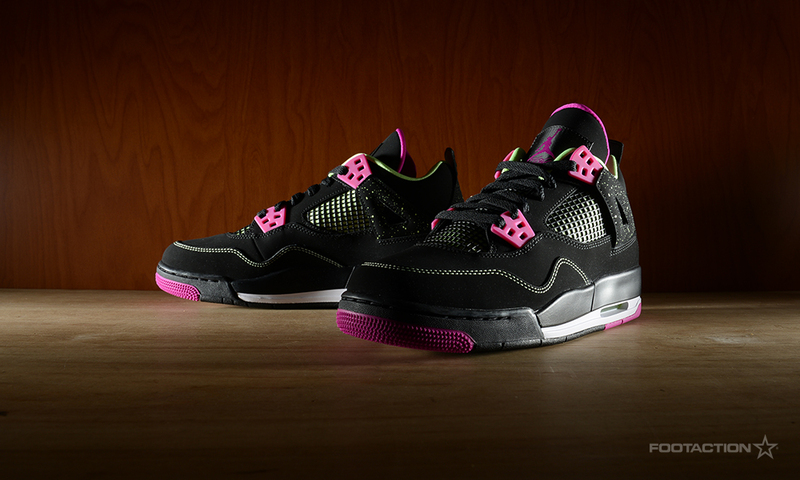 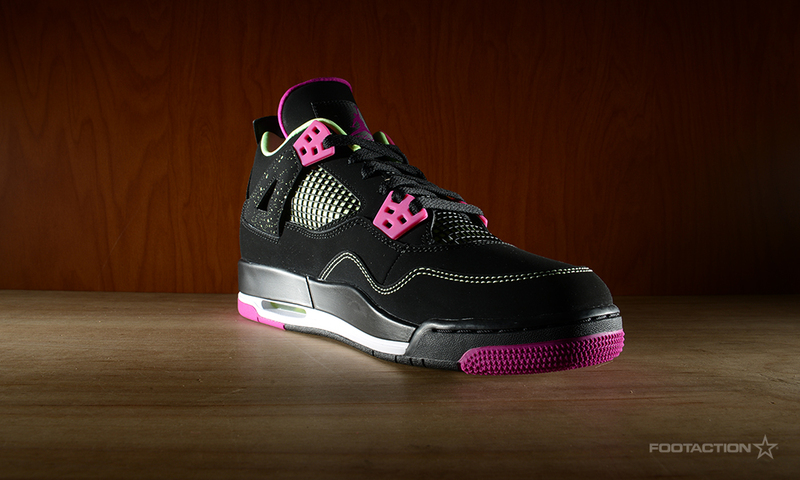 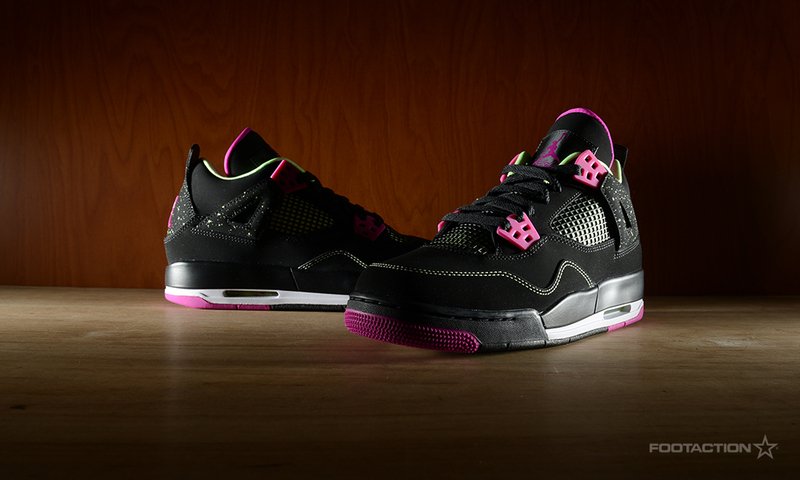 In celebration of the 30th anniversary of the Jordan Brand franchise, the classic Air Jordan 4 will be adapted into a Girls’ bright, bold Fuschia Flash. 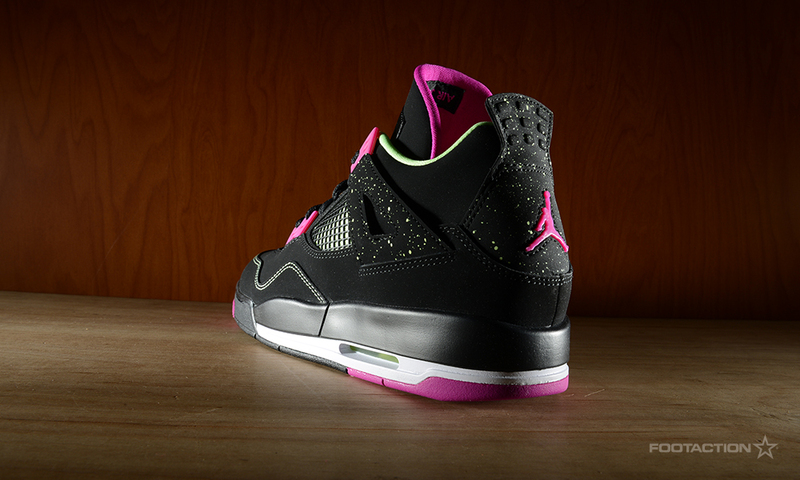 In recent years, the consumer research team at Jordan Brand found that girls often outgrow the grade school shoe offerings around the age 12, which translates to it being more difficult to find Jordan products that fit their size and style. 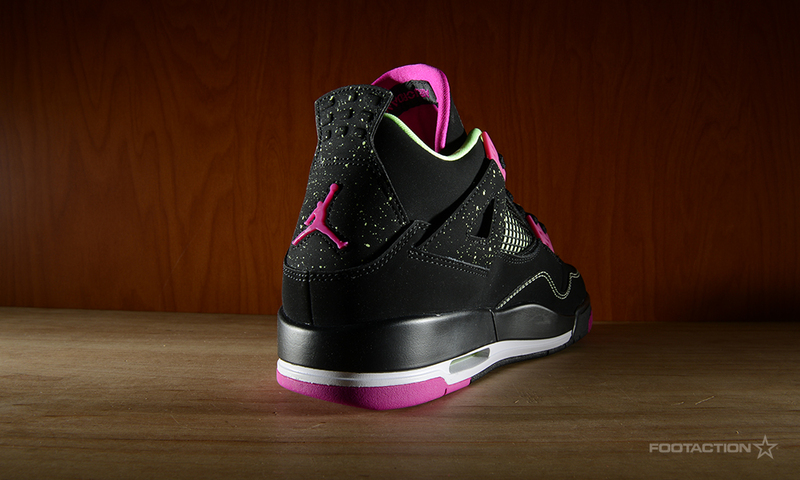 With this information, Jordan has decided to release select grade school offerings in sizes extending up to a U.S. 9.5Y. 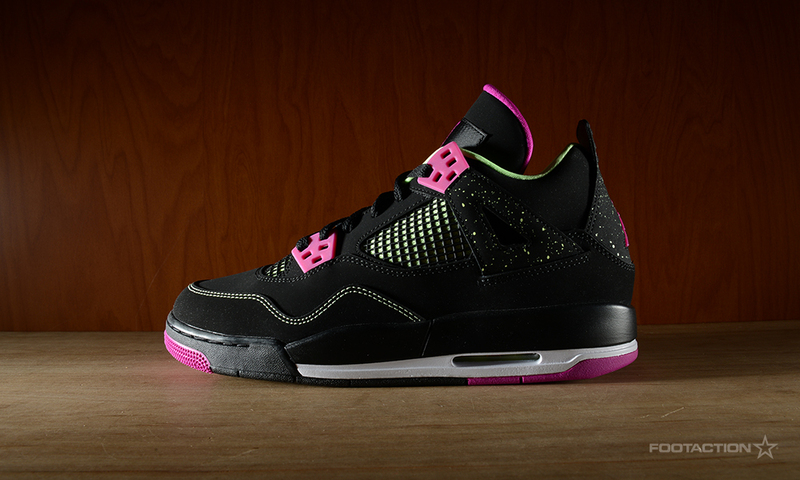 This sneaker arrives in a predominantly black colorway with accenting touches of night Fuschia Flash, hits of Liquid Lime and a touch of white on the midsole.